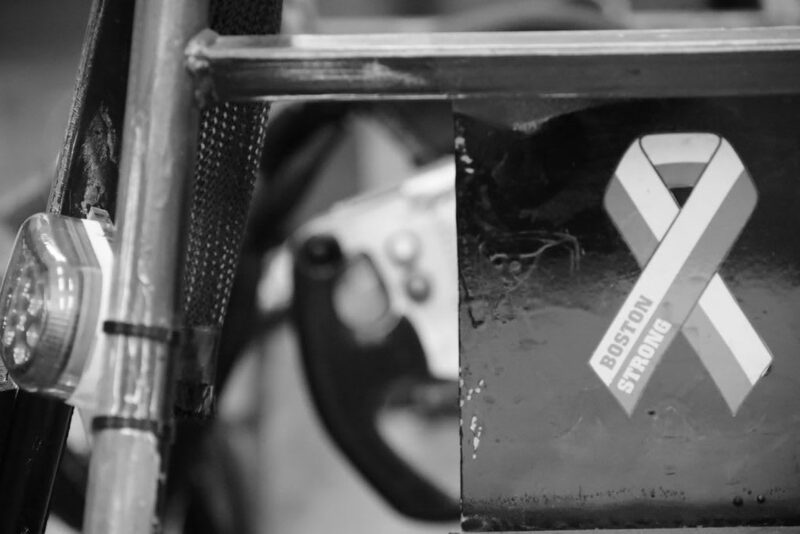 This crowdfunding project has ended, but you can still support Tufts Electric Racing. Thank you for your continued support! Tufts Electric Racing is a group of around thirty students both from the school of Engineering and Arts and Sciences. Every year, we build an all electric, formula-style race car and compete at the Formula Hybrid Competition in New Hampshire. We battle schools from across the country and across the world in endurance racing, design tests and business presentations. In 2015, having a strong presentation and being the only car to make it on track, we won first place! Our team offers students a hands-on experience designing and building a car from the ground up as well as crucial project management skills that will be essential for success after college. For many team members, this project is one of the most formative and meaningful during their Tufts experience. This year we are redesigning the suspension and electrical system of the car as we look to return to our winning form and take back the championship this May! This year we are being more ambitious than ever. Not only is it our 10th year of competing, we will be working on two cars in one year! Unfortunately during last year's competition, we ran into a hiccup when our motor controller could not be configured because our USB adapter broke. But, we came very close to getting a competition-ready car. So this year we are finishing where we left off. Our plan is to have the race car ready by the end of our fall semester. And considering how much progress we have made already, we will not have much work to do for Formula Hybrid 2019. So, we have decided we will start the design process early and design a brand new car for Formula Hybrid 2020. 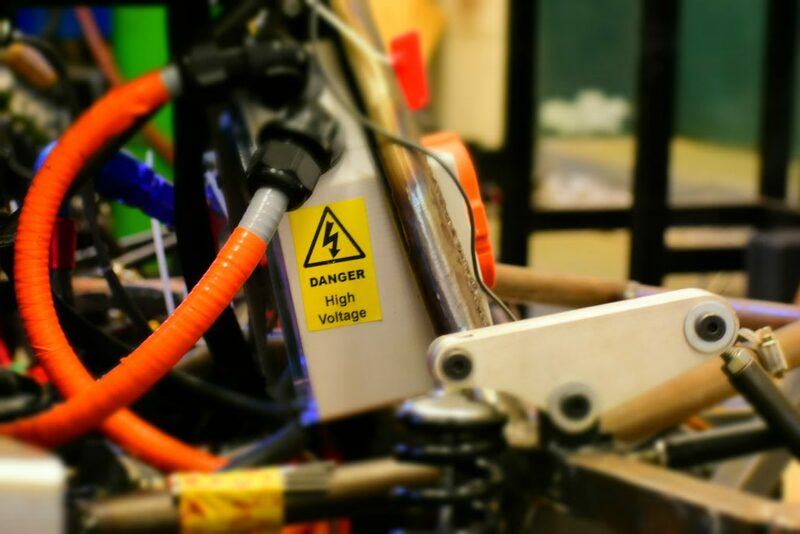 By supporting Tufts Electric Racing, you will be helping us achieve our competitive goals, purchase crucial safety equipment and develop our project management skills. The necessary parts and fabrication to exploit the full potential of our design are expensive, and by increasing our operating budget we will be able to do our best work and build the safest, most competitive car. We have beaten schools with far larger budgets and many more students in the past, and this proven track record is a point of pride. To remain competitive, we need to innovate and improve our car’s acceleration, braking, handling and most importantly, safety. With your support, we will be able to compete safely and successfully on a national and international stage and continue to grow the skills that will build our future careers. A $20 gift buys a pair of safety glasses, an essential part of safety in the shop. Racing shoes are part of the driver's required attire at competition. $200 will purchase a brand new racing suit which our drivers will wear during competition. Accurate and precise steering is critical to our car’s handling and driver safety. Good steering will enable our drivers to maximize the car’s potential in competition. New and improved brake calipers will increase the braking force the driver is able to apply to the wheels, enabling us to accelerate harder and safely stop the car when competing and more importantly in case of an emergency. $1,000 will cover the cost of renting a U-Haul to bring our car and all the necessary tools to competition at the New Hampshire Motor Speedway. $2,000 buys all the necessary parts and labor to completely overhaul our braking system, making the car safer, more reliable and more competitive on track. Our largest expense this year will be the materials and fabrication for our new chassis, which will be sent out and professionally fabricated by an outside company. Our new chassis design will make the car stiffer and safer in a crash and help improve handling and drivability.